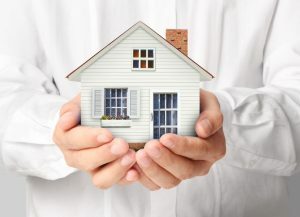 At Five Brothers Insurance, our dedicated insurance agents will be happy to provide you with a homeowners insurance quote or a quote for nearly any other insurance policy you could need. Because we have remained an independent insurance agency, we are able to shop carriers for the best homeowners insurance rates and search for policies that best meet your unique needs. Unlike many insurance agencies who partner with one or more carriers and sell only those carriers’ policies, Five Brothers Insurance has remained true to the integrity that has proven successful throughout our many years of dedicated service within the Florida insurance industry. We are family-owned and operated, and we are 100% committed to finding the optimal policies for each and every one of our clients. Our skilled, knowledgeable and experienced insurance agents can help you shop policies and provide you with a homeowners insurance quote for your new or existing home. We will work closely with you to determine your exact coverage requirements, unique circumstances and budgetary limitations to find the ideal policy to protect you and your family. We gladly welcome new policyholders from Tampa, St. Petersburg, Clearwater, Sarasota, Bradenton and the neighboring regions, so if you are looking for a homeowners insurance quote or simply want more information on current homeowners insurance rates, contact our experienced agents today. At Five Brothers Insurance, our policyholders are family, and we look forward to showing you the dedicated support and superior customer service you should expect from an insurance agency. When you choose Five Brothers Insurance, you become a part of the Five Brothers family!